With the help of our expert team members, we have been able to provide Crepe Digital Printed Fabric. With enormous knowledge of our executives in this industry, we are able to offer a comprehensive array of Polyester Crepe Fabric. Fabric in Moss crape weave is available in Cotton, Viscose and Modal. We have this fabric available in 20's, 30's, 40's and 60's count. Width available in 48" & 63". 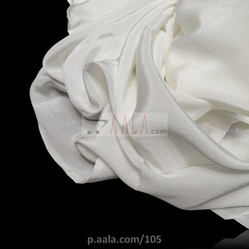 This Rayon Crepe Fabric is an unstitched cloth piece that can be tailored with ease. Reckoned among the renowned firm, we offer a varied series of Traditional Crepe Fabric. Offered series of products can be availed from us at nominal costs.